The top design calls for inlay around the edges. 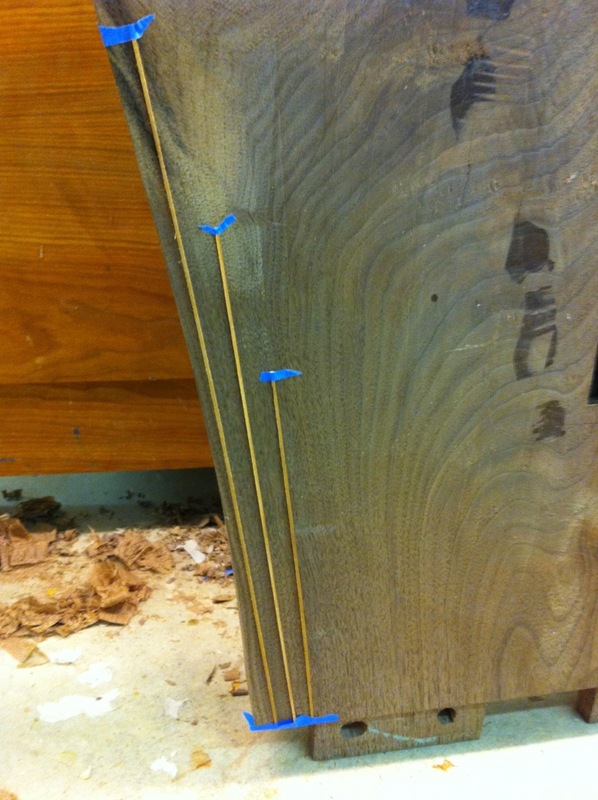 I want to add some complimentary inlay to the legs in order to help tie the piece together. I start with some inlay strips taped to the leg to try out a couple of different designs. This is fast and easy to see designs in realtime – from various angles. Taping inlay to the leg to see the initial design. 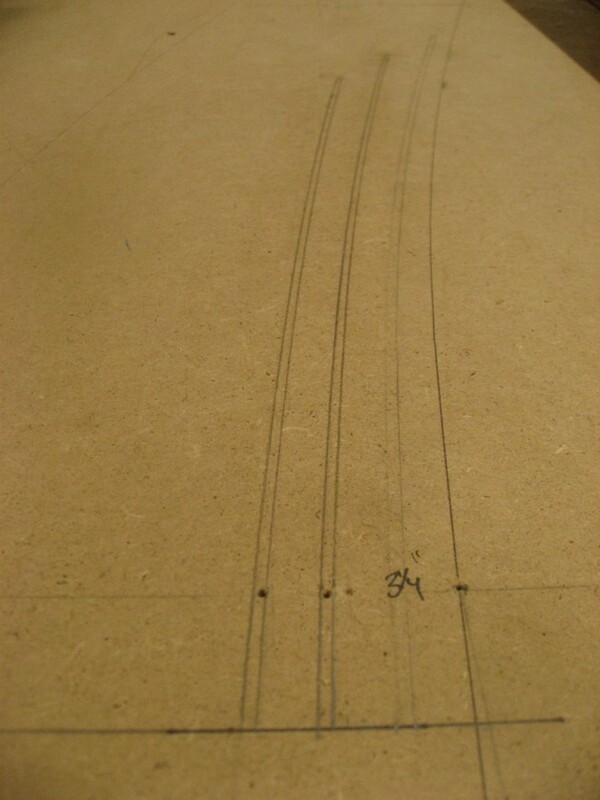 Once again I use a bending strip, around nails, to make the templates for the router. I love my woodpeckers 12″ precision T-square for laying out measurements. Once the templates are made, I use them to trace out the final design onto some MDF to confirm my choices.